The sixth floor of Black Lion Hospital in Addis Ababa is a bustling place. One wing is dedicated to the care of laboring mothers, many of whom require complicated care provided by midwives and obstetrical residents. Another wing houses approximately 45 infants, all requiring some degree of newborn intensive care. The infants are not arranged in rooms by chance, but rather by the level of care they require. One large room is dedicated to the most fragile infants, often born weeks or months before the mother’s due date. Due to a lack of sufficient equipment, infants often share a bed or isolette. Babies are kept warm by space heaters positioned throughout the unit. At any one time, each nurse may be assigned to care for as many as 10 sick neonates over the course of a 14-hour nightshift. Considering how busy the unit is at any given moment, it would be easy to miss the most important care providers – the mothers of those infants – who desire to give their baby the best chance for survival. 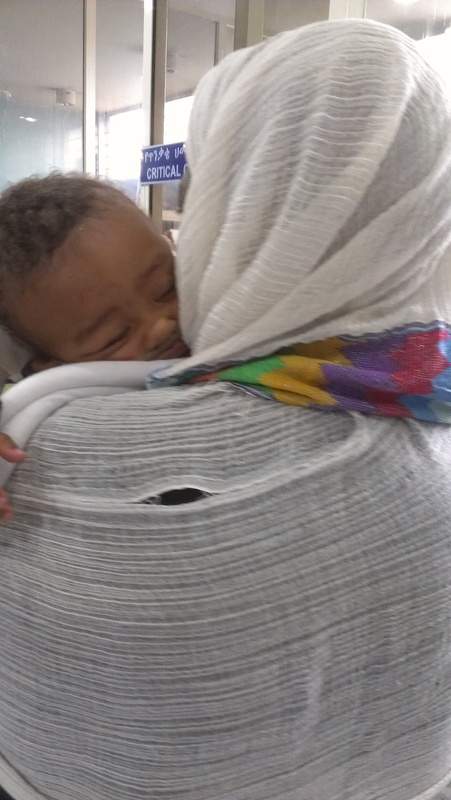 With the support of the physicians and nurses in the neonatal intensive care unit, mothers provide Kangaroo Care for their babies for many hours. Kangaroo Care allows the mother to hold her baby, skin to skin on her chest, thereby regulating the infant’s temperature, calming the baby, enhancing growth and promoting maternal/infant attachment. Three rooms of the neonatal unit are dedicated solely to mothers to rest, breast-feed, care for their infants, and just do what mothers do best – love their babies. Black Lion has long realized the importance of maternal involvement in the health and growth of infants. The unit’s equipment may be sparse and malfunctioning, nurses may be few and far between, the workflow may be less efficient than desired, but one thing is for sure. At Black Lion Hospital, the mother has taken her rightful place as an important care provider for her infant. THIS is newborn care at its best! 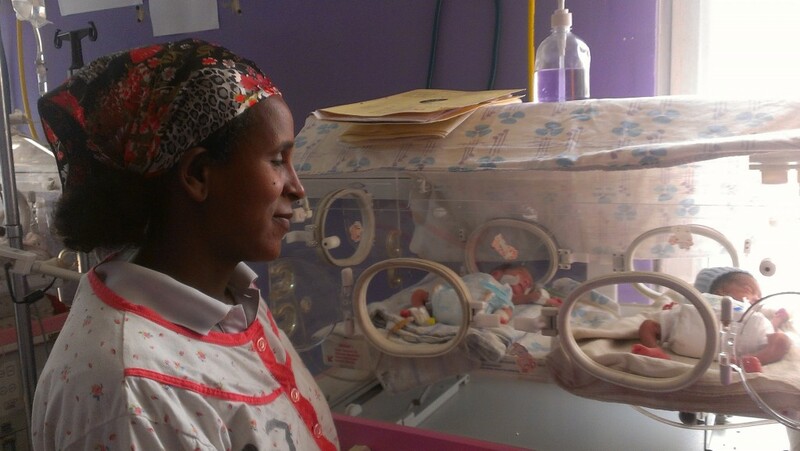 Posted by omalley.44@osu.edu at 12:27pm Posted in Medicine, Nursing and tagged Addis Ababa University, Black Lion Hospital, Ethiopia, Hospitals and clinics, Monica Terez, neonatal, Nursing, Ohio State University, One Health Summer Institute. Bookmark the permalink.